While things are never slow here at HIP HQ, this week has been one of our busiest yet – we’ve got a whopping ten new videos to share with you! Some of these artists are longtime members of the HIP family, while others are new to the fold, but they’ve all got something unique to share with the world. 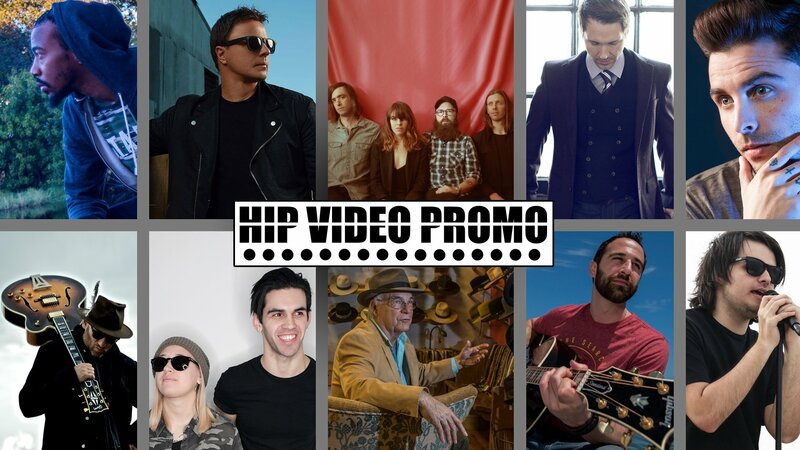 The newest HIP Picks – Weekly Client Roundup video gives you the low-down on some of our current projects, and we’ll tell you a little bit about each one below. Whenever we get the chance to work with Saddle Creek Records on a campaign, we know that the video is going to be great, and this new clip from Philadelphia quartet Hop Along is no exception. After glowing success from their 2015 release Painted Shut, their follow-up Bark Your Head Off, Dog was eagerly anticipated – and quite well-received. Lead single “How Simple” is both withering and humorous; Derrick Belcham’s clip is familiar yet strange, filled with minute details that add to its dreamlike feel. If you’ve been reading this blog for a while, you know we’ve had clients from all over the world, and there’s something profoundly thrilling when artists cross borders to team up. German-American DJ Markus Schulz has produced some of the most notable names in EDM, performed at Madison Square Garden, and was named America’s #1 DJ by DJ Times in 2012; his latest creation, “Safe From Harm” is a collaboration with Australian singer-songwriter Emma Hewitt. It’s a cinematic clip that combines Schulz’ quintessential “unicorn melodies” with Hewitt’s delicate and earthy vocals and jaw-dropping images of waves crashing on the beach. You don’t get a second chance to make a first impression, and after a troubled youth, Duncan Morley is ready to shine brightly and make an incredible first impression with his worldwide debut, “Find You Now”. Originally from Boston, Morley met the one-and-only Rick Ross while making his first steps into the music scene in Los Angeles. Filmed at a gorgeous, palatial estate in Miami, “Find You Now” features a verse from Ross while Morley raps about a lost love and searching for mindfulness. Last fall, we partnered with GV (that’s short for “God’s Voice”, by the way) to promote his clip for “Tunnelz”. Now, this Brooklyn-based rapper is back with “Lil Min”, a song that tells the story of an artist frustrated at grinding for years on end in a thankless cycle, grinding hard to take fate in his hands and break free. GV teamed up with longtime collaborators A1 Vision Productions to give “Lil Min” a visual dimension as he and his crew aim to get his songs on the radio… whatever it takes. Matt Wade – a.k.a. My Silent Bravery – is an artist that knows who he is (his acoustic-driven, alt-rock style is one fans know and love), but isn’t afraid to grow. We’ve worked with him to promote several videos (most recently, “Girl You Think You Know”); with his latest, “18”, he keeps the relatable storytelling he’s known for but makes things more confident and anthemic than before. With soft synths, lyrical references to Bon Jovi and Patrick Swayze, and a modern throwback look to the clip, “18” will transport you straight back to the 80s. New Jersey natives Tom Kunzman and Kait DiBenedetto – known to the world as 18th & Addison – are punk powerhouses that embody the idea of working hard for what you love and doing it with who you love. The dynamic duo have been working together since 2013, and their focus is now on the upcoming EP Vultures, set to bring a revitalized energy to 18th & Addison’s sound. “Time Bomb”, the EP’s first single, is a jumping punk anthem that concentrates the band’s frustration and determination to keep playing music; the video sees Kunzman and DiBenedetto as exasperated judges at a (talentless) talent show. From a sheltered background in a small town in rural Illinois to Belmont University in Nashville, Scott Gray is a singer-songwriter on the rise, determined to make something of himself in this crazy industry. This March, he released his debut EP Raincoat & Other Short Stories on his label, 500 Hats Music Company. For the EP’s second single “Maybe It’s You”, he’s headed to the one and only New York City. Photographer / filmmaker / artist Alexey Wind captures him on the Big Apple’s most iconic streets, with a perfect late night jazz club vibe for fans to take in Gray’s wise words. With such a large number of talented musicians set to create and share music to connect with others, there’s really no place like Nashville. David Olney is one of those musicians; his compositions have been recorded by legends like Emmylou Harris and Linda Ronstadt, and his songs have been featured on ABC’s Nashville. Twenty studio albums and six live sets in to his career, he’s never one to compromise his vision for the sake of sales; “Situation”, from 2017’s Don’t Try To Fight It, is a poetic parable, with a gentle but firm message that something has gone awry. In the basement of a haunted power plant, Olney is the star of the “Situation” video, where everything is isolated and uncertain: his only link to the outside world is a single telephone. Before taking vocal lessons, Toronto native Dave Sereny studied composition and arranging at Berklee College of Music, where he worked with some of the most revered jazz musicians of our time. Producers have taken notice of his vocal potential, and after six months of vocal lessons, he’s found his register and shared “Talk To Me”, his first track as both an instrumentalist and a vocalist. Filmed in his home studio, the “Talk To Me” video sees Sereny joined by his better half Betty (also known as the acclaimed professional vocalist Delilah) for airy background vocals, adding to the song’s uplifting and memorable vibe. Time and time again, Daniel Correa nails it with great songs matched with killer showmanship and impressive instrumental talents. About to graduate from college with a degree in music, “official” adulthood is beginning and he’s going after his dreams as hard as ever. His latest effort “Take A Chance” was produced with the legendary Ahmed “King” Barroso, and it’s a buoyant, feel good track that features Correa’s signature upbeat mix of alternative rock, pop, and reggae. Correa’s hometown of Miami and it’s gorgeous blue waters serve as the backdrop for the “Take A Chance” video as he and the members of his band Collective Bus perform on a boat sailing along the coast. That’s our list of HIP Picks for the week! What videos have you been enjoying lately? Let us know on Facebook or Twitter!